Welcome to Global Survey Group! You're just 3 easy steps away from making money and having your opinions heard! Members Can Make Money in Just 3 Easy Steps! Market research companies are hired by large companies nationally and internationally to find out what consumers (like you) think of their products and services. The market research companies pay a portion of what they earn to each person who participates in the survey for their time. When you open the email, you will find a survey invitation with a link that will take you directly to the survey. It's that easy! Each survey will contain different questions that will allow you to influence the development of new products and improve existing ones-all you have to do is share the answer that best applies to you! In as little as 3 minutes, you can be done with one survey and onto the next! When you are finished with the survey, you will be prompted to select a method of payment. You will have different options to choose from (like PayPal, check, etc.) Compensation for completing surveys can also include rewards like prizes, drawings and/or charitable donations. Plus, you can opt to receive coupons, freebies, and special deals to help you save money! 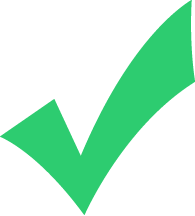 After you're done with a survey, check to see if there are any additional surveys you can take. If not, keep an eye on your email because we will send you more surveys as soon as they become available!